St. Clare Coffee is a sister venture born from Saint Frank Coffee in San Francisco, CA. St. Clare was a young woman growing up in Assisi alongside Francis, who shared a similar awakening and passion for life and the world that he did. She became the first woman to follow after Francis, independent of the very limited options available to women in her time. St. Clare lived a life built on service and generosity, and made history as a very inspirational heroine for women and men alike everywhere. With Francis as a guiding and inspiring narrative for our approach to coffee and business, it only seems fitting that our new project be named after St. Clare. We are partnering together with projects from Thailand to our own community here in the Bay Area. 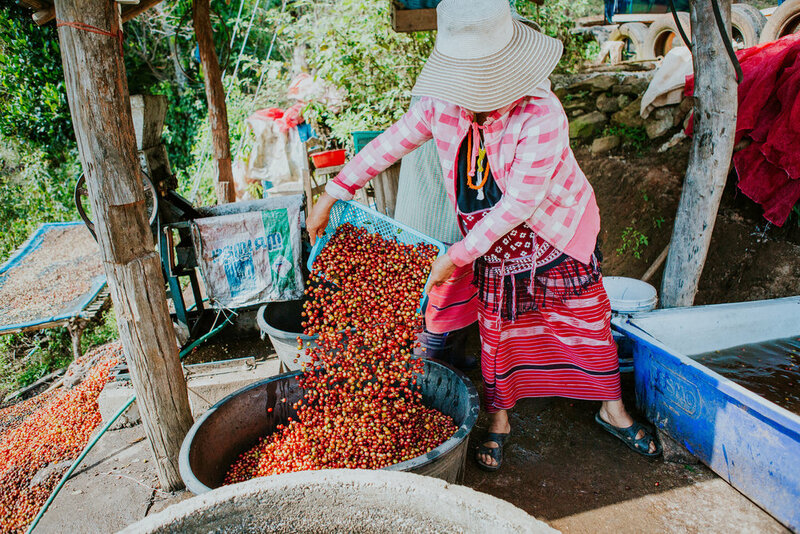 We work hard to source and develop coffees from the Akha Tribes in Northern Thailand, alongside Not for Sale's education and development efforts among some of the world's most at-risk communities for human trafficking as a strategic business directive in their mission. St. Clare also contributes to the job training and opportunity efforts of Not for Sale in the Bay Area. You can also do good through simply purchasing our drinks and whole bean coffees, as a portion of profits are contributed to Not for Sale.